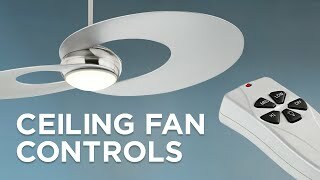 Use this WC212 wall control for ceiling fans. Features an on/off full-range light dimmer, a reverse feature and three speeds. White opal glass is a stylish addition to the brushed nickel finish of this wet-rated flushmount LED ceiling fan. 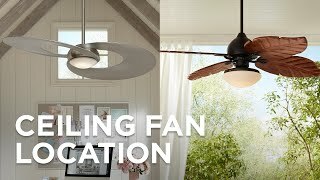 This brushed steel finish ceiling fan is ideal for low-ceiling applications. 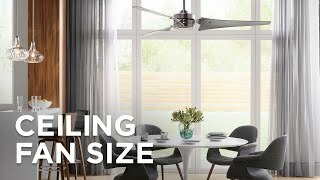 From the Minka Aire ceiling fans collection, the 52" Concept II flushmount fan has a contemporary look, and includes a full function wall control, making it easy to control. It features an integrated white opal glass LED light that allows for ambient lighting. Includes cap for non-light use. UL listed for wet locations. Brushed nickel finish flushmount motor. Three silver finish molded ABS blades. 188 x 20 mm motor size. Minka Aire outdoor finishes are excluded from the terms of their warranty. Fan height 8 1/2" ceiling to blade. Fan height 12" ceiling to bottom of light. Perfect for a home gym. Looks sleek and no messy hanging lights. Already have one on our patio. This is to replace the matching fan that died. These have been good fans except for the glass light cover that would NOT come out. 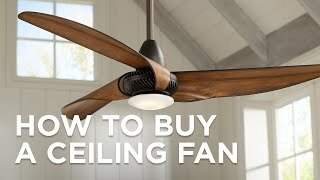 Can fan 19w64 be used for indoors?? BEST ANSWER: Hi Linda - absolutely, this can be used for indoors as well. Is there another option other than wall mount control? My husband just installed this fan in our bedroom and we are so pleased. It's SO quiet, stylish and easy to install. I love it so much that I'm ordering 3 more for other rooms. Had this installed in master bedroom when we remodeled 2 years ago, the fan stopped working 3 weeks ago, took it in to local dealer who suspected it was the transmitter although light worked with remote. They bench tested and found the motor inoperable. They ordered a new one for us at no cost under warranty within a week and we have been back inoperation. The newer one appears to operate better than the first one, the transmitter dip switches are all in the remote vs. remote and ceiling. Looks like they had problems which they have since addressed. Very nice design easy to mount and install. 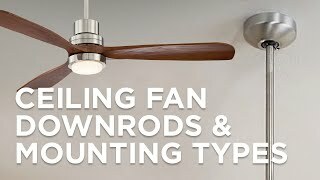 I had three criteria for selecting a ceiling fan. 2) air flow, the fan is for my covered patio, we use it on hot days when no breeze is to be found and air movement from the fan keeps you cool. 3) light, the fan is replacing the overhead light. Design is modern and blends in well. I opted for a higher air flow and am not disappointed with the air movement, even at medium speed. I gave in a little when it came to lighting (lumens) but not sorry I did, this light throws out good light even enough to read by. The only minor surprise is that the dimming of the light only goes so low, but not low enough to be considered mood or background lighting. This is a large fan. For a small to medium room, I would suggest a smaller version. I have it in a mid-sized room and will likely never use any but the lowest speed setting. Looks great in our son's rooms that are more modern. It was an easy install and the fan looks great!